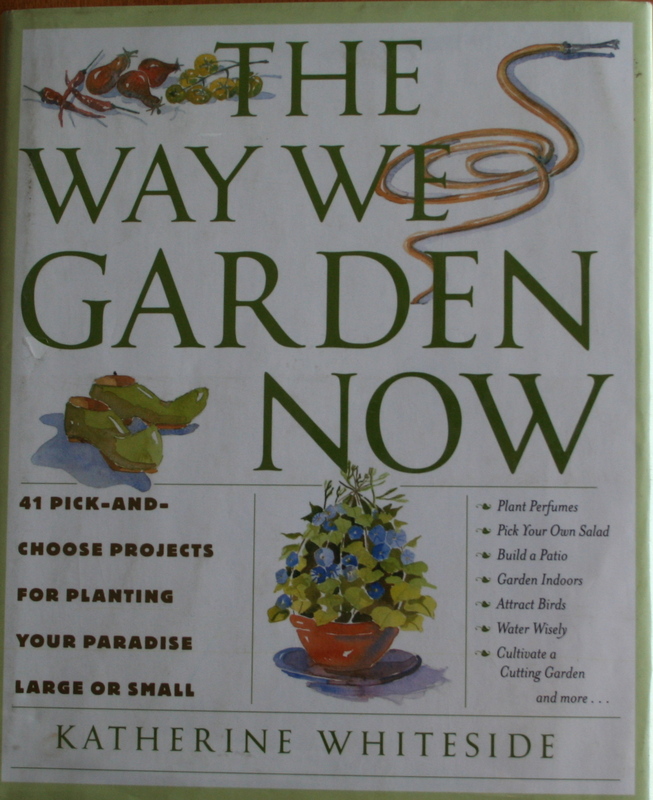 I first read The Way We Garden Now when it came out in 2007, and almost immediately did one of the 41 projects in the book to create a new garden in my front yard. Looking it over again to do this review, I found two other projects for the coming garden season. That’s what I really like about this book. It meets gardeners where they are and gives them the hands-on tools to create the gardens they want. 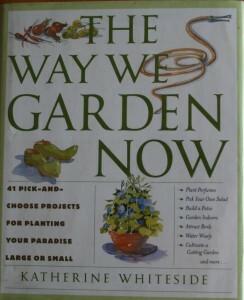 It’s inspiring, but not in that you-need-a-degree-in-horticulture-and-a-fulltime-gardener way that some garden books are. The projects are organized into five categories: basics, design, ornamentals, edibles and seasonal gardening. Within each category, there are projects appropriate for rank beginners, such as the smother method project I did in 2007, as well as those for more advanced gardeners, such as installing a patio. In between, Whiteside gives accessible instructions for how to build a compost pile, create an herb bed, plant for birds, use garden ornaments, plant a hedge, create a path and a couple of dozen other ideas. One reason I think this book is so accessible is that it includes no photos. There are plenty of illustrations, whimsically drawn by Peter Gergely, but these are not overwhelming. They show you how to do the task, rather than what the task should look like when you’re done. It’s great for those of us happy to embrace imperfection. If you are looking for ideas and instructions for ways to improve your garden next year, check this one out. Our motto is Perfect Enough. This looks like a useful book. Thanks for the info.